The armourgel® system has been developed over the last five years developing a synergy between active materials and innovative geometry. It has developed a new flexible system that may be incorporated directly into the garment to protect the human body against impacts and abrasions. 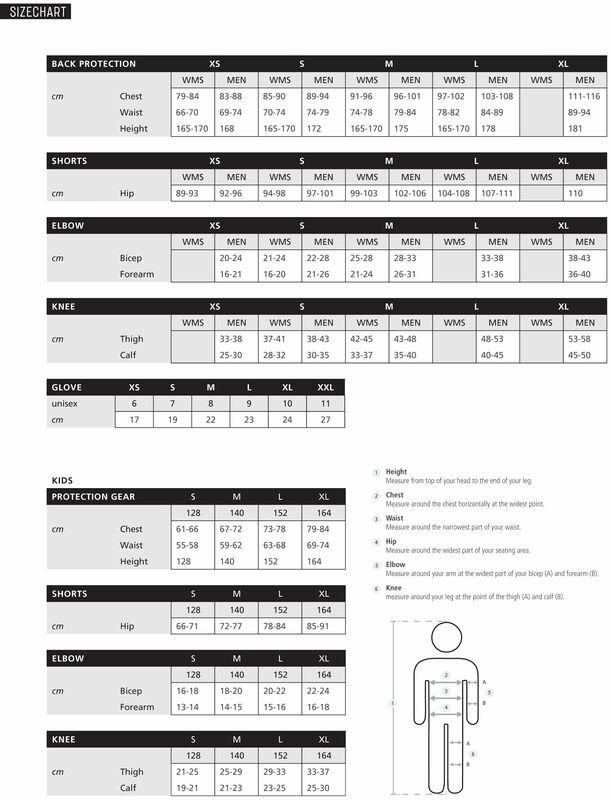 It comprises of a revolutionary materials, which stiffen upon impact to provide protection, but flex with the musculature of the body when protection is not required, thus combining safety with comfort. 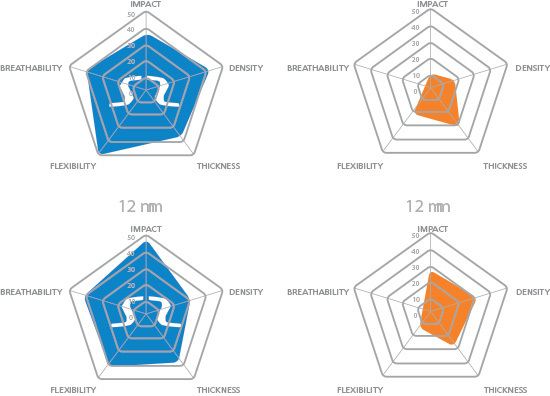 Armourgel® is both very flexible and very effective, this is unique in the market place and provides the commercial opportunity for a new genre of apparel and impact absorbing solutions. Armourgel® absorbs and dissipates energy, greatly reducing impact forces transmitted to the body. The special structure of Armourgel® allows the material to absorb 80% of the impact energy. Armourgel® is based on an open Re-entrant Structure, allowing natural ventilation and airflow around the body for ultimate comfort. 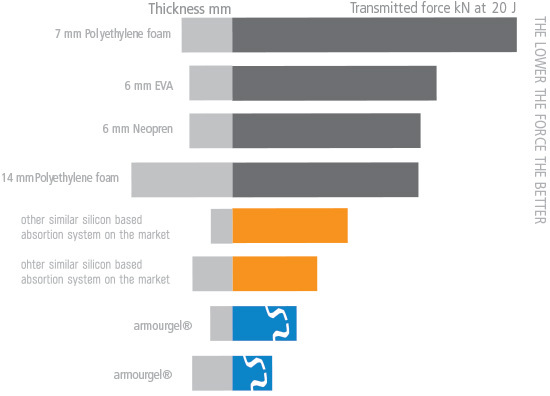 Armourgel® shows no impact performance losses at high (+40°C) and low (-20°C) temperatures. Armourgel® is totally flexible, giving the wearer great freedom of movement. Armourgel® can be washed more than 50 times at 40°C with no loss of impact performance properties. Unlike PU or EPS foams, Armourgel® can be subjected to multiple impacts onto the same point without being destroyed. ouch thats going to hurt. from Armour Gel on Vimeo. AmourGel 4mm from Armour Gel on Vimeo.